Canadian National's L507 crew hits a snow pile at 10 MPH following a storm that dropped a foot of snow on the area. 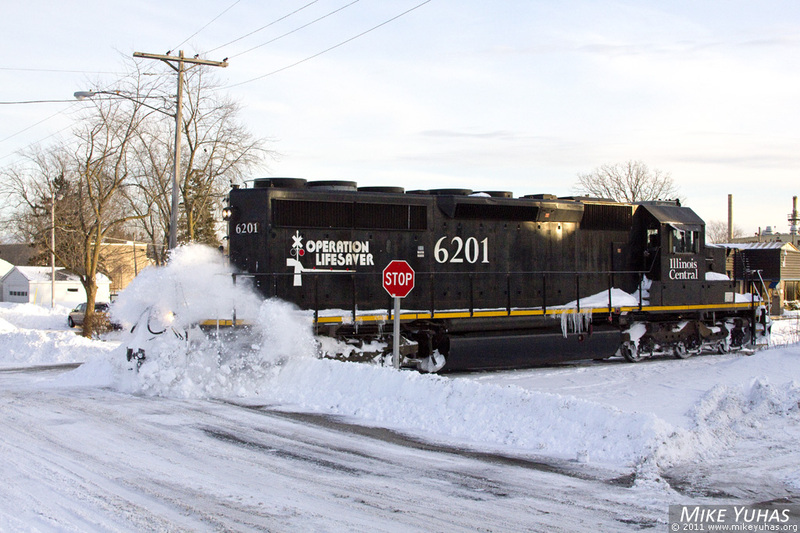 WSOR's L249 job was annulled last night due to the snow, so L507 had no cars for Saukville. The crew traveled the branch with a light engine, busting through drifts and clearing a path for an attempt tomorrow.